Paul has worked in wildlife and pest management for over 30 years throughout Australia and overseas. He is interested in unravelling the ecology of pests such as foxes, wild dogs and feral cats and finding humane and effective ways to manage their populations and impacts. 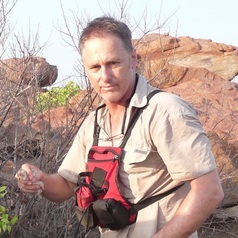 He is keen on developing new ways to monitor wildlife and is interested in the ecology of threatened species.